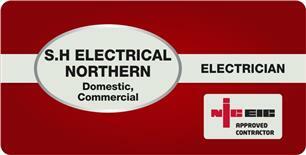 SH Electrical Northern Ltd - Alarms/Security, Electrician based in South Shields, Tyne and Wear. Invoice history based on 176 reviews. NICEIC approved and Part P registered with over 32 years experience in all aspects off electrical / alarm services,with a workforce of 6 engineers and 4 vehicles and a proven track record.